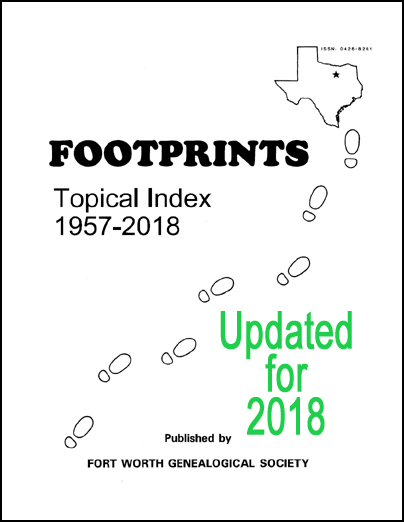 UPDATED for 2018 -- This index will assist you in finding most items that have been published in Footprints, the quarterly journal of Fort Worth Genealogical Society, and it's monthly predecessor, The Genealogical Society Bulletin. -- This is a 293 page digital book in PDF format. This document requires Adobe Reader. This is a free download.